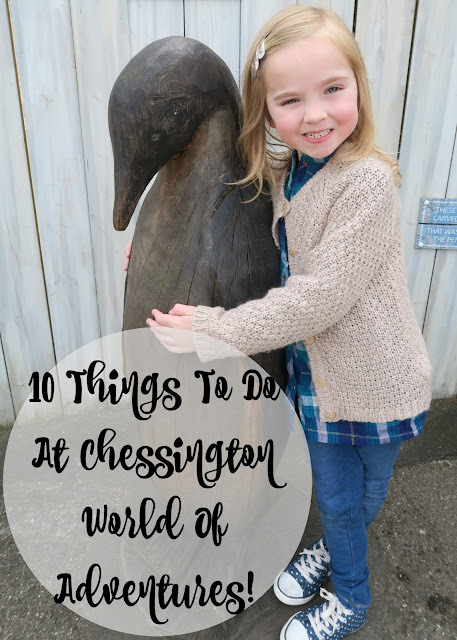 Top Ten Things To Do At Chessington With Tots! 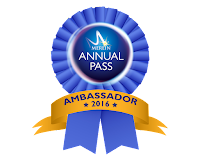 This year we are travelling up and down the country visiting all the Merlin attractions with our family pass. We have already had an awesome time at LEGOLAND, been to the top of the world on The London Eye and hung out with Shrek. This time? We spent the weekend at Chessington World Of Adventures. With both of my two looming around the 1m height I thought I would tell you the top ten things to do there if you're visiting with smaller children. Our favourite ride by a mile, Bubbleworks is set in the Transylvania part of the park and had me screaming all the way round it. Think Disneyland 'It's A Small World' but with a huge surprise at the end. My son and husband walked through this 4D spooky adventure. Whilst I'm not one for ghouls and ghosts they loved it. The queues seemed relatively quiet all day and it is handily near the SEALIFE centre and children's zoo. Chessington has a variety of different 'lands'. From Mexicana to the Forbidden Kingdom. We grabbed an ice cream and had a stroll in the sun and loved the water features in Wild Asia. We were staying at the hotel so managed to get into the park a bit earlier which meant we had the chance to walk about The Trail Of The Kings alone. It was amazing! We got up close to a gorilla, screamed as a lion walked right past us and sat down and watched the sea lions swim around. Another highlight for me was walking around the monkey enclosure and have them run right past you on ropes. I love animals it was brilliant to see my two so excited. We also got to see my all time favourite animal the capybaras. I want one to live in my house and sleep on my bed. They are beautiful. We booked a last minute night away at the Safari Hotel. As we had Merlin Passes we did get a 20% discount. It was really worth it. I was a little disappointed you had to book Savannah Splash time slots at the pool but would know better for next time. We got to eat breakfast with King Julian, hang out on the evening with the Ranger kids crew as well as drink a cheeky vodka whilst overlooking the Wanyama Village and Reserve. The standard room was large enough for a family of four and it really is worth it if you want to pay that bit extra and stay for the evening. This was a great little ride where the kids get to drive a car around the Toad of Toad Hall story. The queue was relatively small. We used our fast passes. There is an option of buying a cheaper one just for the younger kids rides which may be worth it in high season. This was our longest queue but my son was really keen to go and shoot some "baddies". It's a great ride where you see some pretty scary mummies and whilst I enjoyed it, my five year old daughter did have a good cry. OK she was hysterical. If your toddler isn't a fan of the dark or sinister music maybe avoid this one. During the day there are various times to meet the cast of Madagascar and I know for the summer there is a Madagascar show. We plan to go back in the six week's holiday so this would be great to go and watch. It's not often I get time to be alone with my children but whilst my daughter and her Dad ran off to go and look at some other rides, my boy and I rode the Tuk Tuk Turmoil. It's basically dogems but we had such a good giggle screaming around. Well he laughed. Whilst I screamed. Thanks again to Merlin for allowing us to review another attraction with our Merlin Premium Pass. 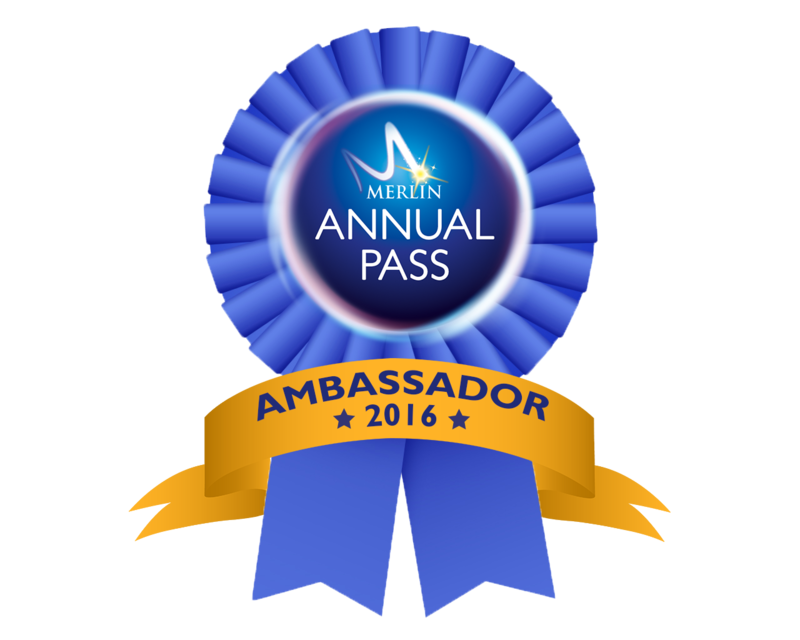 If you would like to find out more about Merlin passes why not go and visit their site. Or take a look at Chessington World Of Adventures site. Why not watch for yourself what happened here!